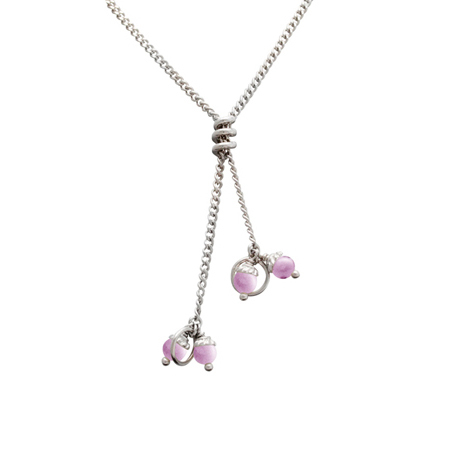 Y shaped necklace features four pink 4mm freshwater cultured pearls. Curb chain width: 1.5mm, length: 27in. This necklace is part of the Ones We Love jewelry collection.